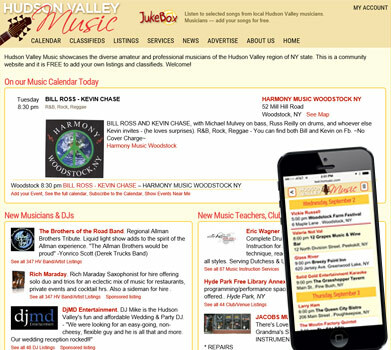 Hudson Valley Web Design Services, Kingston Web Designer, Woodstock Web Designer. Web programming. We have the tools and experience to help you with your web project. Click below to read more. Let's discuss your web project. All consultations are free, and we don't charge you a penny until your site is complete to your satisfaction. We hope to hear from you. One of our most valuable services is free. That is, to share with you the benefits of our years of experience with web-design, programming, and managing a business to help you figure out how to best exploit the internet to meet your needs. The internet and web-design are always evolving-- technology and trends come and go, and some are more hype than helpful. The first step in our partnership with you is always to take the time to listen to your vision and to get to understand your venture and goals. We answer any questions you have about the internet and educate you on the range of functionality that your website can provide. We can often recommend ways to improve not only your web-presence, but help you leverage your website to better manage your business processes. We have been the website partner for this client since 1999, and have continuously collaborated with them to find ways their website can improve brand recognition, customer engagement, and sales — essentially acting as their in-house marketing team. What I especially like about them is their patience with us, and their ability to explain a vast technical world to us lay people, so that we might understand our own company from the ground up. We design each website from scratch without being governed by the constraints of website development applications and platforms such as Wordpress or Squarespace. This frees us up when brainstorming and designing your site to focus on what is the best design for your needs rather than start with what are the limits of what we can do. And it challenges us to constantly push our creativity to make each site unique. We can do this because we have an affinity for programming and the professional experience and history with website design to work at the nuts and bolts level. Equally important, we do this because we are motivated by the challenge of producing a quality product rather than cranking out a higher quantity of websites. We worked extensively with this client to make sure the home page focused on their core offerings, and then designed a page to simply and clear present these offerings. Being professional programmers by trade, we have decades of experience writing programs and software that not only drive websites but the servers that the websites run on. We can get your website to do exactly what you need. Many of our clients came to us after becoming frustrated trying to work with plugins and web-builder applications and either not succeeding or finding themselves limited in what they could do. This site hides advanced programming functions under it's deceptively simple design. 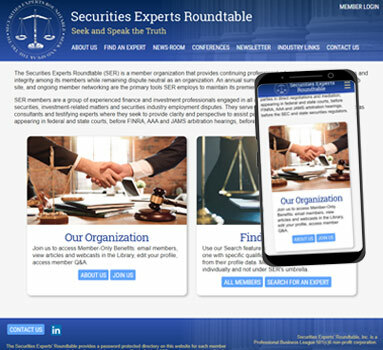 Users come to this site to find experts for securities litigation. So we created a very simple search interface that lets them enter any combination of key words they want, and receive a list of experts ranked by relevance. This search returns results in under 1 second, far superior to the slow performance on their old WordPress-based website. We also created a custom interface for the website administrators to allow them to manage all their members. SEO is not rocket science. It's all about raising your ranking in Google. There are simple techniques that we use to get you 90% of the search rankings sold by SEO consulting services. And we do this as part of our regular service — no extra charge. 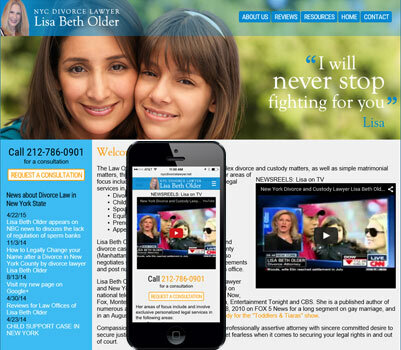 This client's site has to rank highly in Google searches in a very competitive category — New York City divorce lawyers. And it has to rank well for both mobile searches and desktop searches, and comply with Google's new rules for mobile search. We have implemented several simple techniques in the website, and coached the client on how they can add content that significantly raises their Google ranking. As a result their site has remained on page one of Google for several years. If your business or website uses a database to manage it's information or products, or maybe as a back-end to website creation tool like Wordpress, we can migrate it into our MySQL database environment and generally improve it's organization and efficiency. We can do this because we have the expertise and also because many databases that are used to support generic website tools are designed to be general to all applications and not tailored to your specific needs. Once it's been migrated and optimized, we can seamlessly integrate it into your website. And, as your needs change, it's no problem to modify it since we control it and its design is based solely on your needs. Performance of their old Wordpress site was very poor, often taking over 10 seconds to respond. We migrated their database to a new database structure in MySQL and improved performance so all database queries respond in less than a second. After the new website was rolled out, we were able to easily add new fields to the database to support new functionality inspired by the growth of the website. "Hosting" means putting your webste on a computer server somewhere and making your website available to the world. This service is usually not included when working with most web designers — they leave it up to you to find a host for your website. We own a managed server at one of the most reliable hosting services on the planet (Rackspace) where it is monitored 24 x 7 to make sure it's running smoothly. Redundant power and internet connections. Multiple levels of data backup, and disaster recovery. Your personalized administration page — where you can manage your website, mailing lists, email, and any custom features we have programmed for your site. We provide the tools you need to understand who is visiting your website, edit your site content yourself, and manage key functions of your site yourself. If you need a new domain name, we can help you determine the best name for your needs and register it for you. Your domain name will be owned by you. If you sell goods or services, we can provide you with a sales portal and shopping cart system tailored to your needs. Many off-the-shelf E-commerce solutions are complicated to implement because they try to be everything to everyone. And, even then, they fail to provide the custom features you need to sell your products the way you want. We will customize an E-commerce environment for your site that is tailored to your current needs but, because we know it inside and out and it exists just for you, we can easily tailor it for your future needs to support a special sales event or add new types of products or services. And, we can set it up to accept payments via credit card and/or services such as Paypal. Or, for a small transaction fee, we can process your charges using our payment services. For this website, we implemented a completely customized E-commerce solution that was tailored to their business needs and database design. On several occassions since the website was rolled out, we've upgraded their system to provide new ways of selling products and services. We know how to integrate your site with Paypal and other credit card processing services, to allow you to take payments directly from your website. If you are going to take payments on your website you need to understand the Credit Card industry's PCI security standards. Paypal is PCI compliant and using them frees you of worrying about PCI compliance for your payment system. They sell and ship their own products and needed a simple solution to accept payments and track their orders. We wrote custom code to organize their orders and set up Paypal integration to accept payments directly into their account. Having an email address that uses your website's domain name (you@yourdomain.com) is a professional touch that many customers look for. We can not only set up free ways to provide that look, but can also set up fully hosted email branded to your domain name for $3 per month. We also provide rich and simple mailing list support. Constant Contact is a great service, but for much less cost you can get many of the same features with our mailing list service. Travelling the world teaching, Shubhraji needs to keep in touch with her students. She uses 24 separate mailings lists to allow students in various regions to sign up for her e-mail newsletter and class announcements. We wrote custom programming that makes the signup and administration of all these lists simple, and makes it simple for Shubhraji to send new announcements to all or some of those lists. We can design or refresh your logo, and create a completely custom look and feel for your website. We combine photography, graphics, and colors to evoke the look of your business. Their new site needed a much simpler, cleaner logo. 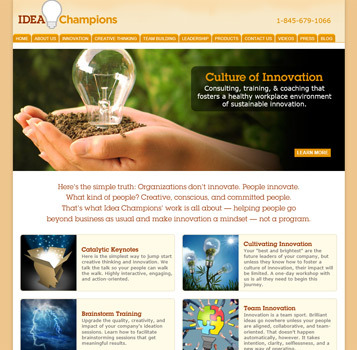 We designed this one to match their new website design. Mobile is fast becoming the way most people will access the internet. We can help you understand when it's time for a mobile site, what it should do, and the options for producing it. What is the difference between a mobile website and a mobile app? A "responsive" website and a dedicated mobile one? We'll explain it and then build what's best for you. 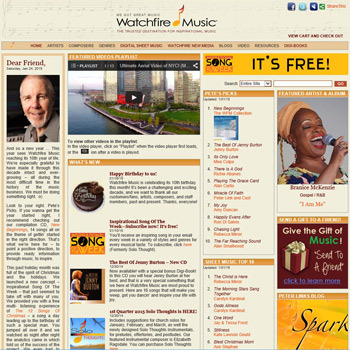 This site is for music lovers both at home and on the go. We designed a "responsive" website that tailors itself to display optimally for smart phones, tablets, and desktops. 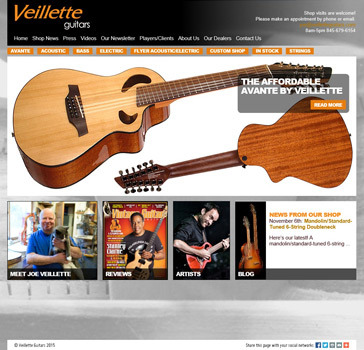 They needed a very simple web presence, but one that was very usable for clients who primarily have mobile phones. 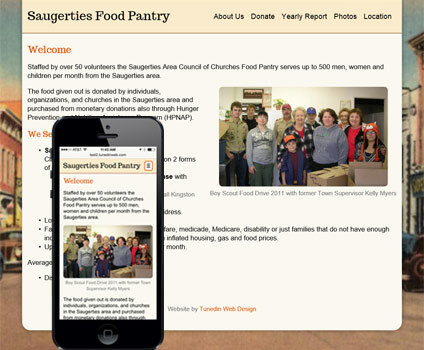 We designed a "responsive" website that displays well on smart phones, tablets, and desktops. Once we build your site, we don't abandon you. We're available every day to make changes and updates to your website. We consider ourselves your "web partners", and take a real interest in your successful web presence. We often take it on ourselves to make small changes to your site as we see certain sections get old or out of style. You can choose to be more hands-on with your site updates, using the self-management tools we provide, or leave it all to us. We will discuss the options you have and how they are priced.